Mobile Edge, the market leader in innovative and stylish laptop computer carrying cases and accessories, has unveiled the next generation of computer backpacks. The Mobile Edge EVO Backpack is a result of years of customer research and end-user feedback. Just in time for the Back-to-School season, the new EVO Backpacks are the perfect combination of ergonomic design, quality and value. Mobile Edge EVO Backpack Collection made for 16" PC Laptops and 17" MacBook Pro computers. 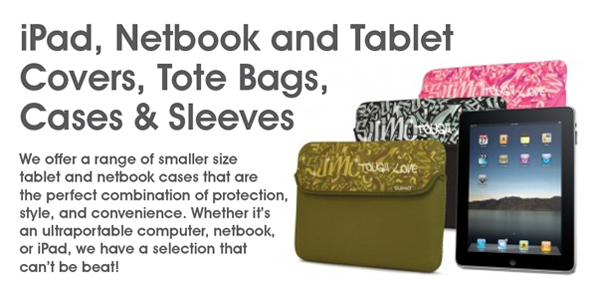 The innovative EVO backpack is designed to protect all the popular models of wide-screen laptops up to 16”, as well as many 17” models like the 17” MacBook Pros. The EVO features sixteen interior and exterior pockets for all your travel accessories and personal items. A new interior workstation was added to hold popular sized memory cards, flash drives, business cards, pens and pencils, plus a media pocket for your iPod or MP3 player. Another Mobile Edge exclusive feature is their Cool-Mesh padded back-panel and shoulder straps designed for user comfort over prolonged use. A ruggedized bottom panel was added to protect the backpack from moisture, dirt and grime and for overall durability. The EVO also features a clever zip-open water bottle carrier that will hold various size liquids – a key request among backpack users. Topped off with great styling, quality construction and backed by a lifetime warranty, the EVO Backpack may be the last backpack you will ever need! 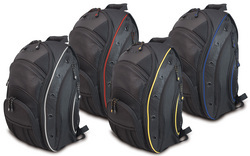 The feature-rich EVO Backpack is available in four accent trim colors: Black with a Silver Reflective trim, Black with Yellow trim, Black with Blue trim and Black with Red trim. Rotary paper trimmers are great for working with paper, crafts, laminating pouches, photographs and much more. While you could use scissors to get the job done, a rotary trimmer is going to give you the perfect straight edge that hand holding a pair of scissors will never duplicate. Rotary trimmers come in a variety of "flavors," from small home use models to larger commercial ones. Manufacturers of quality trimmers include Akiles, Fiskars, Swingline, Fellowes, and Martin Yale. Most rotary trimmers have built in safety features, and some models allow for interchangeable blades, offering crafting enthusiasts options for pretty decorative edges on the photographs and in their scrapbooks. Rotary cutters, also called rolling trimmers, generally offer the cutting blades encased in a plastic housing, that virtually eliminates the chance of personal injury. The rotary action allows the blade to cut in either direction and sharpen itself as it cuts. This self-sharpening action helps to produces a clean burr-free cut, time after time, and guarantees many years of smooth precision cutting. Long the most recognized paper trimmer in the world, Martin Yale Premier trimmers continues to lead the pack with style and innovation. The Premier Martin Yale HRP12 Paper Trimmer is perfect for cutting both paper and laminating film down to size. It can handle up to 10 sheets of 20 lb. 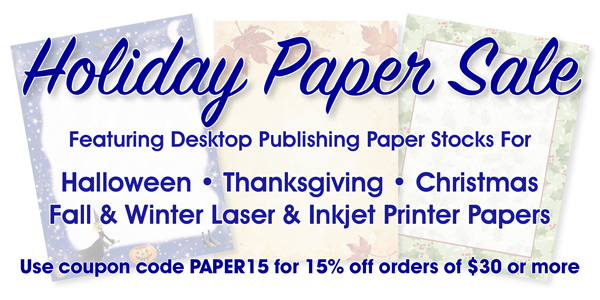 bond paper in a single pass, offers a 12" cutting length, and easy to read cutting lines, for an accurate cut every time. Or, step it up to the Premier Martin Yale CT13 Paper Trimmer, with it's four interchangeable blades that offer a choice of straight, scored, perforated or wave cuts. The CT13 cuts up to 10 sheets of 20 lb. bond in one pass, features a 13" cutting length, ships complete with the four aforementioned blades included, offers organizational storage for the blades, and has a self locking clamp that help to keep your paper in place. It is also considered one of the safest trimmers on the market, as the blade is only exposed during the cutting process. 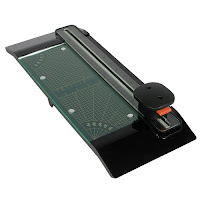 You may also want to check out the Fiskars 12" Titanium Rotary Paper Trimmer. Fiskars has long been considered a leader in the paper cutting industry.Perfect for trimming multiple sheets of paper (up to 10 sheets of 20 lb. bond paper at a time), card stock, construction paper, light cardboard, cloth, laminating pouches, and more, the Fiskars trimmer comes with two titanium cutter blades, features a 12" cutting length, built in safety blade storage, a magnetic paper clip holder, and has a unique built in carrying handle for easy transport. 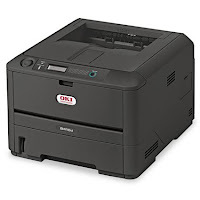 Your Office Stop has procured a limited amount of OKI B410D Digital Monochrome Duplex (2-Sided) Laser Printers, that we are offering at a deeply discounted price, through June 30, 2010 or while supplies last, whichever comes first! The Okidata B410D Duplex Laser Printer is the choice if you are looking to improve the productivity and lower the operating costs of your business. Built in duplex (2-sided) printing is great for lowering your media costs and saving time. If you do a lot of black and white printing, this is one to consider, as you will see your price per print drop significantly over inkjet printers. This monochrome (black and white) laser printer is considered a workgroup level printer and produces prints as fast as 30 pages per minute. It works on both Windows and Macintosh platforms and comes with a full manufacturer's warranty. 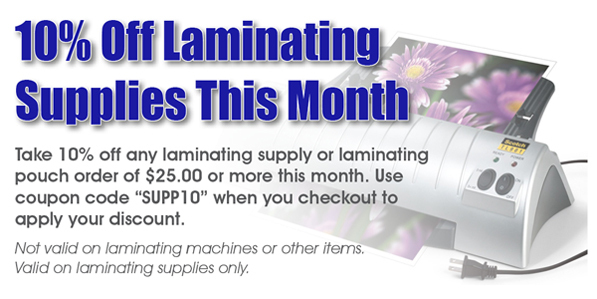 Through June 30, 2010 use the coupon code "OKIB410D" on checkout to get an additional $30.00 off the sale price of the printer. That brings the printer down to a price of only $149.99. A bargain for a duplexing workgroup printer! Your Office Stop is Now Blogging! Your Office Stop is proud to announce that we are now blogging! We will use this blog to inform our customers of limited offer sales, special subscriber only coupon codes, and promotions! Head on over to our blog to subscribe to it and be updated with all of our latest offers. Don't forget you can also now follow us on Twitter for instant updates too. All content on this web site is copyright ©Your Office Stop LLC, 2003-2013 and may not be used without permission.